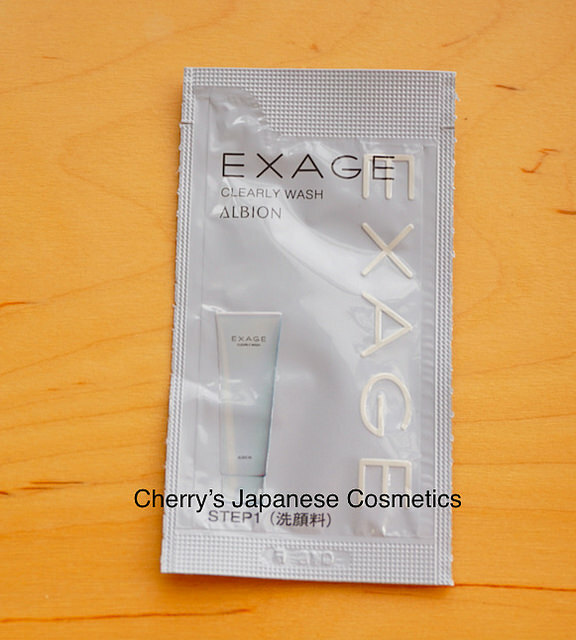 I (Cherry) got a sample of Albion Exage Clearly Wash, a face wash, new for SS2016. Let me share with my review with you. 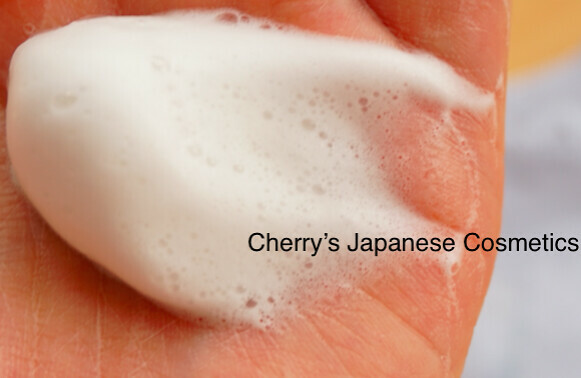 Take few on your palm, and add water to make bubble.Here you are. Guess you need a little bit more than I took to wash your face and neck. This bubble is soft, if you like harder bubble, this is not for you. The perfume is too strong for my preference. But for me, this is only one bad point so far. Some foam face wash is too strong for my skin, but this kept my skin moist. My skin afterward was enough “cleared” and enough moisturized. Seems this face wash is including clay to wash, but I do not feel and do not know how it works. Please check the latest price and order from here:”Albion Exage CLEARLY WASH” or wanna order in Japanese Yen? Visit our JPY Branch! Albion Exage CLEARY CLEANSING CREAM — wipe, wipe and wipe to remove!